"Great system to manage calls"
Invoca is simple to use, quick to set up and does a great job. The reports, stats, recordings, etc are great. Its definitely one of the best systems I've seen. The support staff are also very responsive and helpful. Managing campaigns is relatively simple. The platform allows useful customization of calling hours, IVR, restrictions, geographic filters, etc. I've been happy with it. The price is one big negative as it can get really expensive if you are sending a lot of calls through their system. My other issue is the bundle options. I don't love how their bundles work and if your campaigns are not syndicated it can get messy with reporting and call durations with IVRs. Give it a try and see if you like it or not. Its simple to implement and test one or two campaigns or segments and see if you like it or not. That's what we did and we've stayed with it. There are a lot of companies using Invoca, ask for a reference. We work with inbound calls and Invoca has been great. Invoca has helped solve some of our reporting issues, especially in terms of call duration and reporting billable calls. It's very useful if the client you are working with is also using Invoca because it saves on cost. "Setting up and managing many campaigns "
Easy to listen to calls and see all details related to the calls so you know exactly the status of each call. Can be more customizable to your company. Rather than having to go to many different places to set up a campaign can be all in one location. We set up a campaign and then add them to bundles. It would be nice when setting up the call campaign itself, there is a question in there that asks what bundles we would like to add the campaign to. That way everything is in one place. Also, it is so difficult when clients of ours already have invoca and incite us to their campaigns. It never works that way, only way we can set up companies the easiest is to put in their DID # which is syndicated. Seems like should be easier way when you work with other partners who have campaigns. Yes, it is nice to have other companies use it so we can set up syndicated campaigns. If calls are billable or not, confirming they have received it, where they came from etc. "Invoca is the next generation of call tracking"
Invoca has cutting edge technology in the call tracking industry. Signal AI Technology has amazing capabilities to help us obtain the information we need to track our KPIs to calculate return on investment by channel per account. We also are able to help coach based on the models. 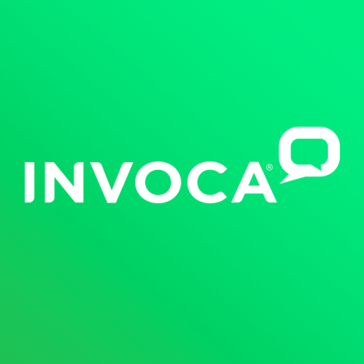 The staff at Invoca has been really helpful to work with and they have always been open to learning about specific use cases to help strengthen the platform and model. Invoca has been a joy to work with! Some things that I think can be improved upon would be the accessibility we have to reporting through the dashboard and being able to have a live person call you instead of submitting support requests through a portal. Although they are timely in responding, some things have unnecessary back and forth that could be avoided to make things more efficient. Porting numbers is time intensive so I would shy away from this if possible. There has been a huge reduction in cost when we switched over to Invoca. We are able to get majority of our needs met at a fraction of the cost. With the technology they have in place for signals and AI, the opportunities are endless for saving us money and tracking our best return on investment when evaluating our marketing channels for our accounts. "Invoca Review - Optimizing Lead Generation"
The AdWords conversion integration is a huge parts of helping me optimize paid search. AI signals are giving us insights in creating new conversion actions & creating a better user experience. Call listening has given us insight into customer's needs. Dashboard reporting has freed up our reporting workload and better communicate with our internal business partners. If you sell products over the phone a call tracking partner is very important. Invoca has been able to help us optimize our paid digital marketing efforts immensely. A lot of attribution issues are being solved. The Adwords integration is allowing us to track true call conversions to better optimize our paid search efforts. Call listening is helping us to better understand how our customers want to interact with us. The AI signals are helping us to focus our optimization efforts and create a better user experience with us. Invoca has cutting edge technology and they're helping us move forward in improving our digital marketing capabilities. The platform is easy to use and Invoca is consistently releasing improvements and additional functionality based on what clients are asking for. Best of all the Invoca team is exceptionally dedicated to their work, very good at what they do and willing to go above and beyond to help their clients. We've looked at other providers in this space and I don't think you'll find another one that has the combination of functionality, pace of new development, and focus on customers that Invoca does. Invoca is helping us optimize our digital campaigns by informing us on which keywords and digital campaigns drive the most and highest quality phone calls. We've been able to make significant improvements to our return on marketing spend. "Great Product backed by an even better team"
Invoca is a solid product that provides a service like a dial tone. The reporting we get is an extremely important piece in connecting our online advertising spend to phone calls into our call center. With this tool we're able to easily optimize our campaigns to drive calls and revenue. The team is what really stands out at Invoca. Our customer success rep is fantastic and is always on top of any requests we have. Additionally their product team is very sensitive to the needs of their customers and is always building out more and more useful features. Documentation can be a little tricky to find. However, their support team more than makes up for this in their responsiveness and ability to answer questions thoroughly and satisfactorily to both Engineers and Marketers. Another challenge I've had with the system is that it's very much built out for affliate marketing, so sometimes setting up campaigns can be a little confusing for new users who don't know anything about that. However, after 1 walk through people usually get it. Don't forget to look into their integrations. Wish we'd leveraged these sooner. Search engine optimization, A/B Testing, Display campaign optimization. We're able to better optimize our marketing spend to increase revenue through phone calls. "Invoca - Call Management Software Made Easy"
The product is easy to use, and also easy to troubleshoot. The customer support is responsive and more then happy to help you with any problem you have. Invoca has great reporting tools and helps you manage and track all of your campaigns. I help manage and keep track of over 1000 different campaigns and the platform makes that management simple. The data that you pull from the export is great and pulling Pivot Table and Graphs in excel make for great reports to show management. The management of Advertisers, Campaigns, and Publishers is great, it is easy to navigate and keep track of each one of them. If you have partners that are also using Invoca that you work with, implementation is super easy. With all our campaigns, it would be nice to have better IVR solution. In the current format if you want to make a change at the top of the IVR it will delete everything under that, so you will have to rebuild everything again. It is a simple product to use and set up. It is also super simple to create test campaigns that you can call in and test to see how everything works. The platform really helps show a high level of all the data that is collected. With the reporting and different ways I analyze our data, Invoca helps us find ways to improve on revenue gain. The "do not repeat prompts" really helps insure that we make sure calls get through the system in a fast and effective manor. Invoca does what it says its going to do. There are too many phone tracking services out there that make attractive claims on the outside, but don't deliver on the inside. The reporting dashboards very clearly communicate the progress and status of our campaigns. Adding Notes to recorded calls requires you to setup the campaign, set yourself up as an employee under that campaign, and then view the Transaction reports. Rinse and repeat for all campaigns, and that's a doozy. For AdWords/Facebook campaigns, you NEED to track phone calls that stem from these campaigns in order to reflect a more accurate ROI. Customers will never admit how they found you accurately, and phone team members only halfway care about the exact attribution funnels, generally. Regardless of what they say or what they fill out, being able to KNOW that they clicked on your ad and called you is invaluable. Invoca does the best job I've seen thus far. Attribution of phone scheduling patients to our Adwords/Facebook ad campaigns has been awesome. Being able to see what keywords were searched and compare that to the actual injury the patients have offers a new insight to our marketing. "Awesome technology but an even better team to work with"
the dedicated support team is really all about making sure we understand what's going on at all times. Really been impressed with the desire to make the client happy. They're super knowledgeable, very responsive and overall you can tell they very much want you to be happy, in fact they won't quit until they address all of your concerns. I've been very impressed with our account team and the technical support. we have a complicated set up and working within budget around the pool parameter constraints are a little challenging. We can get around it by consolidating multiple parameters into one ring pool but would be better if Invoca opened up the limitation. Yes, I would recommend Invoca to others. I believe they're the leader in enterprise level phone tracking and it's obvious to me why that's the case. We've solved end-to-end analytics around our phone conversions from website to our database funnel. we use adobe analytics and integrated invoca via webhook which has worked well for us. "Valuable Performance Data at your Fingertips"
Invoca's platform (incl. dashboard & reporting) is easy to use and provides relevant/useful data. We get very granular with our client reporting & metrics, and it's helpful to quickly access individual client details at the click of a button & instantly download activity. For being an apparent leader in this marketplace category, Invoca wasn't able to provide local phone numbers for one of our key client markets - which is not a small market. So we had to settle for 800-numbers which wasn't an ideal solution. We run comprehensive marketing campaigns for our small business clients, and our process/approach is heavily focused on marketing attribution - i.e. attributing spend to ROI metrics. In order to gauge a realistic cost per lead metric, we look at unique calls that have come in via our campaigns and Invoca allows us to accurately measure and attribute calls to specific media channels within our campaign. "A simple solution to effectively manage inbound calls!" Invoca is a call intelligence platform that is robust, easy to use and absolutely critical to our day-to-day operations. Campaigns are easy to set up, track and report on. The ring pool feature is amazing and the IVR routing is easy to use, while providing a great experience for our inbound callers. Invoca integrated right into our existing Avaya phone system, so there was no additional expense with integration. Having the recordings of the inbound calls has allowed us to improve customer service, better train our sales reps and also provide us with better insight into our customers. The analytics features are great for our marketing team (lead sources, search engine info, etc.) as well. Invoca integrates directly with HubSpot and Salesforce, both of which we use. Integration is seamless and has proven to be very beneficial for both our marketing team and our sales teams. I really wish that Invoca would invest in an outbound solution, as that would truly benefit our company, but it sounds like that is not a direction they are even considering at this point. If inbound calling is critical to your business, Invoca is an ideal platform to look at. It's easy to set up, maintain and integrate with other software and business processes. We are a B2B distribution company with over 45 different websites. Inbound calls are over 80% of our business, so being able to capture, manage and track those calls is essential. Invoca provides the perfect solution for that and we've truly seen the ROI from the investment into the platform. Invoca will also automatically create new lead records in Salesforce for us when it doesn't match an existing caller ID. It then creates a call log and provides all details and a call recording that we can listen to. The Invoca platform saves us tons of time, while also providing important info we need for marketing, training and better sales campaigns. "Invoca - One of the easiest migrations"
The customization options for buyers, channels and bundles and affiliates. Also the use of promo numbers to create a hierarchy for phone number trees. The reporting options are also easy to use and simple to send to clients and affiliates. Invoca helps the modern marketer optimize for the most important step in the customer journey. Removing buyers from round robin campaigns. The current billing model and cost for overage minutes. The overage model takes away from the simplicity of the platform. Great platform for affiliate marketing. Good to for dynamic numbers. I like the use of the promo number features. I dislike the migration with Google Adwords. The current billing model and package suggested has caused our company to overpay in overage fees and minutes. "Best platform out there for Pay per Call affiliate programs!" Invoca is a great platform for managing affiliate programs, finding and maintaining strong affiliate networks, and delivering profitable pay per call campaigns. The support staff is wonderful and always willing to go out of their way to help you become more successful. I wish it was easier to manage call flow by time of day. Other than that, the platform is a slam dunk. Invoca offers a trial which is a great way to evaluate the platform before making an investment. The support staff is wonderful, lean on them heavily for implementation and configuration questions! Invoca allows us to develop strong relationships with publishers and gives us the ability to track campaign profitability in real time! "Great platform for call tracking and campaign management"
The Invoca platform has allowed us to easily track and monitor the success of our network on a campaign basis. The reporting and access to call details is quick and easy, which allows us to hunt down any issues with ease. As all campaigns are different, I wish that the system would allow you to treat them this way as well. We have issues with warm transfer campaigns due to the key prompt that is required on the inbound leg. Additionally, there are other set up issues that we have asked for but they are all or nothing solutions and not on a campaign basis. The platform has allowed us to better track, onboard and invoice all partners when generating inbound phone calls for them. The flexibility of the Invoca platform allows us to tailor our reporting needs for employees at all levels. From specialists to VP's everyone has a dashboard associated with their login that allows them to see only what is most relevant to them. Due to constantly changing call volumes it's difficult for us to estimate how many phone calls we need to center our contract around. Although that has been a little difficult, the Invoca team has been extremely helpful and flexible. Invoca allows us to tie our online and offline media efforts to our backend performance data at very specific levels. Their RingPools technology have allowed us to tie digital marketing spend down to specific keywords and ads giving us insights we've never had before. "Easy to use call tracking system." I like that its simple to set up buyers, campaigns, and simple to track the campaigns successes day by day. I think that reports are easy to export and are quickly made available as well. I also like the syndicated campaign feature where we are able to quickly set up campaigns with other Invoca users just by entering their number. I also would love to give a shoutout to the rep that helped us with getting set up, Chaly. She is really cool and easy to talk to and I really appreciate all her help. I think I have a lower tier account which disables me from receiving premium support. It takes a while for someone to get back to me and I wish that no matter what kind of account I had I could receive full level support a little quicker. Also recently - a buyer of ours asked for access to be able to toggle their campaign on and off, we weren't able to grant this buyer access without giving them full access to the campaign features which I think is a bit risky. I would like for the buyer to be able to toggle their own campaign on and off so there is no confusion without them being able to edit the payout and other features of the campaign. Also we were told initially that we could use Invoca as a network to find other people to work with. I remember filling out a survey but nothing really came of it so I wasn't sure what the point was. I think its a clean cut platform that has a lot of tools readily available. I would recommend it. I can't say that I've necessarily solved a business problem. Although I think it would be a problem if we didn't have Invoca haha. "Invoca is a valuable tool that we depend on to make informed decisions with our campaigns. " I love the clean and simple layout and the reporting is very easy to understand. Listening to call recordings and filtering out data is easy to do and I can automate reports to be sent to partners. The RingPool technology is a game changer and helps us make better decisions with these campaigns. We've been seeing some fraud issues with increased robocalls and it's difficult to see how widespread the problem is. We have to manually listen to call recordings to see if it's dead air or beeping on the other end of the line. If there was increased visibility into this that would be helpful. Invoca is a great tool to use to help optimize campaigns and gain better insight on what is happening on the call. We're able to use the RingPool technology with our affiliate partners to track how many users click through to our landing page and make a call from there vs. calling from the ad placement on our partner's page. We can also capture valuable parameters that helps us optimize traffic. "Continuously Satisfied with Invoca Support and Technology"
We love that the Invoca team is ever accessible and always focused on helping us grow. Overall the technology has been great but certain features are needed that would help limit the chance of calls dropping. Access to call tracking technology launched a whole new sector of our business three years ago that has come to account for a majority of our time and bring in significant revenue. With Invoca the benefits are syndication for relaxed minute costs by working with their extensive customer base, and the team who works really closely with us to help us grow our business. The Adwords integration and Phrase Spotting feature that allows us to count leads in Adwords automatically and only if it actually became a lead. There is no integration with Bing Ads and the Facebook Integration only indicates if a call took place (not something I care about as a lead gen marketer). Facebook integration, like Adwords, should include sending offline conversions if they qualify as determined by Phrase Spotting. Adwords relies on a call duration to determine if it became a lead. Invoca removes the call duration assumption and allows us to only report actual call conversions into Adwords thanks to the Phrase Spotting feature. "Even A Newbie Can Use Invoca"
I really like the campaign set up process. It's simple and straightforward. As someone who had never used a call tracking platform before, I was comfortable using Invoca after a couple of weeks. I dislike the process of having publishers apply to new campaigns, and then having to change the campaign viewer settings. That part does get a little confusing. We're able to use Invoca for a lot of reporting, which has proven beneficial to many of our partners. It allows transparency, which creates more trust with our clients. I've realized that having data to backup what you're saying to clients is invaluable. "Robust Call Analytics + Great Team"
Also, their people are 5 star. Always there to help, educate themselves on your business to accommodate every need that fits your model and will go out of their way to ensure the technology delvers an ROI and scale. The user interface could use some updating and flexibility. Look into their call singal suite. Finding out where the call came from, how it performed and how we can adapt with this data. Invoca has completely transformed how we look at our data and the data that we have access to has increased exponential due to all the integrations Invoca offers with other partners in the digital space including the new AdWords Offline Conversions Integration and the Facebook Integration. We are able to see down to the keyword level how our ad spend is performing and also create remarketing lists based on call data we get from Invoca. They are an invaluable partner! Nothing, anything that we have experienced that we have questioned they have quickly addressed. Invoca allows us to see over 20% more conversions within our paid search programs than we were previously able to see. "Invoca - The Catalyst For Our New Business Direction"
There are two things that I like best about Invoca. The first is the support and implementation teams at Invoca. Making a huge switch from one cloud based phone system to Invoca was a little nerve wracking. However, the support and implementation teams made the transition easy, took time to understand our business, and moved over 1000 campaigns without issue. The second is Invoca's reporting. Invoca's reporting allows you to do 90% of the reporting and analysis without a data warehouse or BI tools. Of course every client wants a platform to do everything they want, and Invoca tries to balance that by meeting most of their clients needs. I do feel some simple features like the ability to save a call treatment/IVR as a template would be very helpful. Also, they need to develop real-time alerts and the ability to save and scheduled custom reports. Invoca has allowed us to drill down on true profitability of all of our campaigns and optimize them to deliver a better call to our Advertisers. Invoca has also helped us turn many of our "non revenue calls" into calls that are profitable! "Invoca Helping a Growing Company"
Our company is growing rapidly, and has gone from 17 to 24 locations in just 1 year. We needed a system that would appropriately distribute calls based on location and Invoca does that. As most online systems are, they push you for a sale sale sale sale. And you finally buy and kind of throw you to the wolves. They do have a training period after the initial purchase but it wasn't long enough. As you play around with it more, more questions arise that you didn't know to ask during the training, and the support is not responsive. I had a question that took about 2 weeks to have answered. We are able to distribute leads based off location instead of several different phone numbers. We are also tracking analytics online with different phone numbers. "Invoca makes call tracking easy!" What I like best about invoca is being able to identify which of the keywords are driving the most calls in our program and optimizing toward that. I'm not the biggest fan of the UI. It makes the find keywords a little difficult when you have a lot of campaigns in the system. Make the UI easier to search through reports or find keywords easier across multiple campaigns. Being able to export would be great as well. I work in a call driven program and this has made driving necessary calls easier. We realized we had the option to route certain calls to certain call centers which have made things so easy. "Taken our analytics to the next level." Flexibility. They don't do "one size fits all" - they'll work with you to design the perfect solution for your needs. The only thing I'd like to see is even more specific signal tracking for long-tail phrases. Take the time to develop a custom solution for your needs - don't skimp on this up front - the realization of value brought by the more in-depth data will be massive. Before Invoca, we lacked the ability to track a motorist through the entire acquisition life cycle; this has tremendously improved our ability to show our ROI to our clients, and add a new level of analysis to their own phone support (hugely important first interaction). "Essential to the call side of our business"
A great way to track call customers for our products. Easy to use and helpful reporting. The integration capabilities have been essential to tracking and communicating with our own internal platform. I highly recommend. Their support and account staff are always available to assist and they are quickly becoming the leaders in their field! Lovely interphase and very user friendly. Love being able to quickly check how many calls are coming in. Always able to track a new marketing piece if needed. Would like to have more customization. It would be awesome to make this more in brand. Great for tracking a bunch of different types of advertisement. And getting the truest raw data straight from the client is awesome. Tracking effectiveness of our Ads. We are able to know exactly where a new patient came from whether it be a FB ad or a monthly newsletter. It has also been a huge benefactor in understanding the patients and what the user flow is like for them. Invoca seamlessly integrated with our current CRM and now our organization has all the real-time call tracking analytics needed to optimize our sales and customer service. We have maintained an awesome rapport with our Customer Success Manager at Invoca and appreciate the level of support we have received in managing campaigns. Well they say, " you get what you pay for" so I will not complain about price. With that said, there is nothing I can say about what I do not like about Invoca. Their support and sales staff are very friendly and quick to response on inquires. All of the bells and whistles are there so, you get out what you put in. Our Customer Support, Marketing and Sales team members are able to work hand-to-hand from the analytics generated from our various Invoca reports. The dashboards and the use of Signals are a plus as we seek creative ways to improve our customer engagement. "Invoca is simple to manage." I like the interface. It is relatively easy to use, figure out and navigate the interface. Adding accounts and campaigns is quick and painless. I like the ability to give clients access to view their performance. This helps me to explain and validate suggested marketing changes. I'm not positive about this, but I don't think I can track international calls with this tool. I don't like that notifications that go to clients always look like an email address with a phone number. It almost always confuses clients. - I would like to be able to create a super user without having the notification go to the client until i am ready to send it, I'd also like the ability to resend the notification without having to delete then re-enter the super user. I would recommend Invoca to people looking to implement phone tracking in the U.S. Working for an agency, Invoca helps me track phone conversions in digital advertising campaigns. It also helps me to understand disconnects between advertising and customers. I like how easy and useful Invoca is to track our many different email campaigns, adwords and bingads campaign and pretty much anything you would like to track with a phone number. Another thing i like is that we can sync Invoca with Hubspot, which is what we use for analytic, email campaigns and landing pages. It also captures the phone calls as a contact so we know that each call is considered a lead. We had some issues properly connecting calls to our other platform Hubspot, and the reason we kept the Invoca platform was to attempt to track calls through Hubspot as well. We turned off the ringpool feature so we're no longer collecting call data from Invoca to Hubspot. This is a great tool if you're running multiple campaigns and need to be able to track where your calls are coming from. With invoca, we solve the issue of knowing where our call are coming from. Instead of getting all the calls and expecting it all came from our website, we actually know if it came from Adwords/BingAds/Landing pages/email campaigns. It's great! I like how Invoca functions as a central source of truth with respect to call tracking, analytics and commission earnings when structuring deals with pay-per-call partners. The ease of creating sophisticated payout criteria is a huge plus. I'd love to have more documentation and clarity around how to utilize "signals" in Invoca. I think the functionality is awesome, but the education component seems to be lacking. Invoca has a feature-rich platform that has a variety of use cases. Whether you're looking to track calls driven by your in-house marketing campaigns or looking to partner with a third party publisher, their platform can accommodate your needs. We're able to provide affiliate partners with a reliable call tracking solution, which builds trust in Vivint's affiliate program. Invoca has the capability to bridge the gap between marketers and call centers. Our business typically struggles with knowing what the customer does after they make a call - how did the call though? What information can we garner from that? Invoca allows insight into that post-dial information, allowing us to look at call information in a scalable way using AI. The process of onboarding our business has been quite complex. This isn't particularly specific to an issue with Invoca, but the fact that we have hundreds of locations nationwide, all of which route differently. So, it has been a lot of work to get all of our needs communicated effectively so that the system is set up correctly on the front-end. Incorrect information entry by call centers, or lack of information entry. The biggest benefit I am realizing is Invoca's ability to give us information in a digestible way. We'll be able to roll our data/information up easily so that we can cut it a variety of ways, giving us actionable insights. Phone call tracking has always been a dark spot in the overall marketing picture. We no longer have to rely on sales reps to determine where a phone call came from and the level of intelligence Invoca provides is incredible. Implementation with a partner can be tricky. Choose your partners wisely! Do your homework on how the integration with Salesforce.com will work and how you plan to support the inbound workflow. We must be able to include inbound phone channels as part of our overall marketing attribution picture. Invoca gives granular call tracking details that meet those needs and then some. The ability to set up campaigns to send calls to multiple advertisers is of great benefit to our agency. Having the ability to adjust pricing, time durations, and targeting within bundles and campaigns makes our business far more efficient than it would with another platform. Would LOVE to be able to use a mobile app. The current website isn't responsive. Building up structures for call-only campaigns with advertisers. Tracking is also a lot easier with our paid media campaigns. easy reporting whether that be layout or the filtering abilities. would love a list of what publishers can see and what the admins can see. have had issues when someone doesn't see calls are repeats but I do. I have definitely checked and asked and been told its not available. triggers would be cool. Campaign or publisher earns more or drops you get a notification. Client needs with reporting and stats to ensure they are growing or addressing the dips. I like the ability to view real time call data and have access to these device specific call data. Being able to do bulk uploads of campaigns instead of sending a list of campaigns and phone numbers to invoca. At the moment we have to wait 3-5 business days depending on the number of campaigns before we can launch. Real time call reporting and being able to determine calls at the keyword level. Also having limited toll free numbers through the client this has solved this issue by having multiple RP numbers to assign to campaigns. This way we know more about which keywords are bringing in calls and orders. I like the ease-of-use in setting up campaigns. It's easy to do, only really takes a minute or two, and you're ready to start promoting and tracking! There's not much to complain about. Improvements are being made seemingly every other week - I'm enjoying watching the evolution of this product. There is real tangible data from everything from radio to billboard to direct mail campaigns. You always know what your ROI is! "Great platform that's simple to use." Easy yet robust campaign building and great customer service every time I need a hand or have a question. Can't search multiple inbound numbers at once in the reporting feature. It would be great if I could look up multiple numbers at one time on this filter. We've been able to track lead sources in more detail than ever as well as break out call volume to our campuses and call center to allow for better over all customer service. "Great experience in the over two years I have been using Invoca as an Account Manager"
Very easy and understandable reporting. Quick support response time. Widely used among our publishers. Our affiliates very often have experience using Invoca prior to getting approved to RingPartner. That for our variable rate campaigns, the amount paid automatically goes to "Up to $21". I would love to be able to change this feature to accurately reflect the max amount they can get paid. Being able to let our publishers view whether or not a call was a repeat call. If you need to track calls and campaigns, I would recommend this platform. Accurately tracking phone calls. Hosting our campaigns in a seamless and organized way. Very user friendly platform. "Good Number Portability and Dynamic Campaign Tracking"
The ability to port in our existing phone numbers but still retain ownership of the numbers for future use. Fees are on the high end of similar products. We have always been hesitant of doing call tracking with clients because of lack of number ownership. Campaigns with other products can assign numbers for tracking, but those numbers remain the property of the service and go away once an effort is over. Should a customer save the number, future calls would not go through. With Invoca, we could use our existing pool of "800/888/877" numbers that we already own, port them in to the system, and use them for dynamic call tracking campaigns. Should we ever decide to stop the campaigns, the numbers remain ours and the customers won't know the difference. "Great product & great people"
Invoca helps us achieve a much higher ROI on purchased call transfers. They have a very intuitive UI and simple dashboards with the important information displayed in easy to digest reports. We've had questions several times and their support team has been extremely responsive and friendly. Their overly robust campaign options make setup confusing. A couple times, changes to their reporting interface has made exported data formatted differently and requires reworking of our internal processes. Invoca helps us optimize which sellers we buy from by utilizing talk times, call recordings and reporting. "The Invoca platform is Great for our Advertisers & Publishers"
How easy it is to set up an account for our adv, pubs and integrate our direct Search and Display businesses. There are a few features that are not available when a program is syndicated. This sometimes makes it a little more difficult to manage the offer. Talk to the Invoca team about all of your ideas so they can understand from the beginning what your needs are. They can support many features that allow the call channel to be successfully managed, but they also are great with technically updating the dashboard to accommodate new features and ideas. Being able to provide very detailed reporting on call activity for both all stakeholders is the biggest problem we've solved using the Invoca platform. We've been able to technically link the platform to report data into our standard platform so all of our client invoices continue to be managed in our standard platform. This makes it easier to manage the additional channel for everyone. "DIrector of pay per call "
how specific everything is in all the different sections of invoca and they are always there to help you with any questions. I'm very new and don't know what I am doing exactly however they lay it out in a way that I can at least explain what I'm talking aobut and someone has been able to help me for the most part. You can have multiple aspects to why your using this program so that's also a unique and cool feature. There Is not an actual book with all the user information to study off from or a class to just go and take. I'm new to the whole affiliate marketing thing so it was a bit overwhelming at first because my company is an advertiser, and affiliate and he has campaigns so it's just a lot all at once to take in but I'm doing the best I can. Like I explained to my boss, I want to know why I'm pushing the buttons not just running through the motions. So I can really use invoca to it's fullest potential . We are turning the leads that we paid for but didn't convert so we can try to use them in other areas of our business, at a no cost because we already paid for them. I'm learning soooo much in just the short time I've been learning about it. Invoca is not only a type of data collection but allows you to work with other affiliates and advertisers to get the most of your campaigns so your call center is running suburb. "It has been a great transition to Invoca!" The signal AI data is great to have and is very beneficial to our customers. It allows us to truly see how a call is handled and what are good quality calls. Getting local numbers has been a challenge for some areas. I also do not like that we cannot set an end date at the promo number level. We are solving the need to making tracking more a foundation of doing business with us as the cost is a fraction of what it use to be for accounts. We also can continue to grow our signals as the customer becomes more and more educated. "Tried the rest, found the best"
Invoca gives us the best call tracking and routing solutions out of the box, while also giving additional integrations and bolt-on options. The Invoca team has really tried to understand our business model and needs to create the best solution for our business. Reporting is a bit hard to understand sometimes as it relates to bundles. We tried several call platforms before coming to Invoca that had limitations that has been mostly solved with Invoca. These include bundling and API integrations. We also appreciate the ability to run syndicated offers and save on the minutes. Lastly we have made some new business partners by Invoca's introductions. "Exceptional Customer Service and Feature Set"
Invoca does an excellent job of continually adding features. If any issues arise, they jump into action and find solutions and make changes to their platform to accommodate us. There were some initially some issues with local number availability, but this was one of the items that Invoca found a solution for. After a cost-benefit analysis Invoca was the easy choice and we're happy we went with them and their team. We're able to tailor our marketing efforts directly using the data that Invoca's insights provide. We're also able to save a ton of time by utilizing their continually improving Signal AI. The insights that we get for our Marketing calls is light-years ahead of what we were previously getting. Their system is mostly set up for call center organizations, where ours has no call center. I would like some new features that would allow us to not rely on our CMS as much. Our operational excellence is not where we though it was. We can now work on fixing it. "Invoca Makes Call Routing Easy"
Customer service and ease of use definitely stand above the rest. Their customer service team is top rate and have always solved issues we've faced with ease and professionalism, creating a dynamic solution for problems. Ease of use is key for us; there are many other platforms that provide call routing solutions but the ease of use of the dashboard and the overall UI makes it an easy platform for us to use and our clients. One of my least favourite features, and probably the only complaint I have, is that not all features are available when syndicating a campaign - small complaint, but something to keep in mind when syndicating campaigns through the platform. Utilize your customer support contact if you have questions - they're quick and friendly and there to help you! We use Invoca as a solution for both inbound and outbound calls, their customer service and response time makes fixing issues quick and easy - this is a big bonus for our clients that are driving leads in realtime and can't afford to have delays or slow response time in fixing issues. "In love with Invoca. " I really like the clean view and user friendly platform. The product is very easy to manage and operate, it takes very little time to master the platform. I dislike the fact that I cant use it more often! And sometimes I have an issue with logins from different advertisers integrating with Cake, but I believe that is more on Cakes side not Invocas. I also wish I would be able to set up a concurrency for active calls on the advertisers end to help manage the flow. Its clean, user friendly, and easy to manage ( especially if your partners are also on invoca ) . the call routing with Invoca is fantastic, I specifically enjoy the option to bundle my offers from multiple advertisers to create a sort of catch-all for similar offers. I also like that when I syndicate the offers from the Advertisers I do not worry about the telecom fees! * We monitor all Invoca reviews to prevent fraudulent reviews and keep review quality high. We do not post reviews by company employees or direct competitors. Validated reviews require the user to submit a screenshot of the product containing their user ID, in order to verify a user is an actual user of the product. Hi there! Are you looking to implement a solution like Invoca?